When one looks up the definition of the word “dry” as defined by the Merriam-Webster dictionary, this is what they’ll find: “A) free or relatively free from a liquid and especially water <Mix the dry ingredients first.> <as dry as a bone> B) not being in or under water <happy to be on dry land>. Or, A) marked by the absence of alcoholic beverages <a dry party> B) prohibiting the manufacture or distribution of alcoholic beverages <a dry county>.“ The latter, however, is not the dry we’re referring to. We’re talking about the kind of dry when you pull a cozy hoodie out of your Drybag at the end of the river and put it on you feel like the Snuggle Bear from those fabric softener commercials. The kind of dry that your river map, cell phone, and matches for the campfire are in perfect shape after 13 miles of shredding the gnar kayaking. 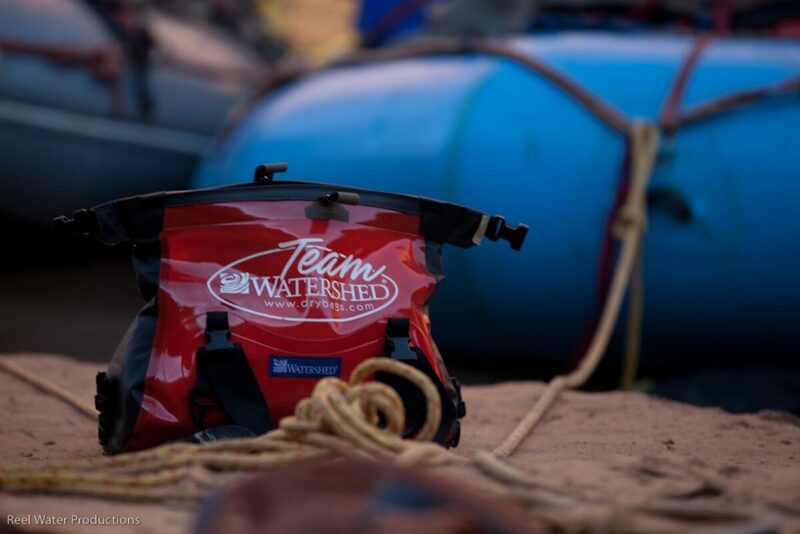 The folks here at Watershed got real tired of sub-par products, and wet sandwiches, and created the patented Watershed Zipdry Closure. When you want something done right, you gotta do it yourself they say. Here is why our Zipdry Closure is the bomb…or rather bomb and 18 wheeler proof. Anyone who has used other drybags featuring the rolling technique can understand the frustration. 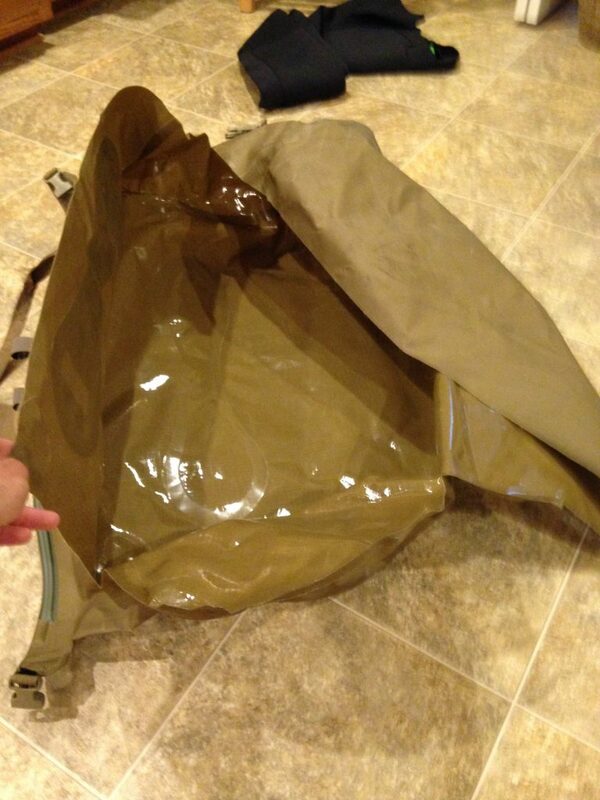 Simply rolling the bag down multiple times does not ensure a watertight seal. It takes forever, and typically once you’ve rolled and “sealed” the bag you realize your phone is sitting on that rock next to your boat… that you left there… that should be in the bag. Ugh. Also, this feature makes it difficult to get what you need quickly, especially sneaky little items that find their way to the bottom of the bag. It’s a production just to get a granola bar. Our bags work like a freezer bag you’d use at home, with multiple levels that grip and lock shut even when submerged and under pressure. The lengthwise opening feature makes it so you can get in and get out quickly and on with your life. Bill Nye the Science Guy, or Mr. Wizard – if he’s more your style – would get stoked about the radio frequency welding process used to create the seams. Electromagnetic energy and pressure are used to molecularly combine materials permanently and form the seal. There are no stitches used in the process. This means there aren’t any weak points for the bag to fail, thereby letting river water inside to reek havoc on all your items and belongings that are much more fun when they’re dry. Combine this unique design and construction process with only quality chemically stable polyurethane coated fabrics, and you’ve got a product second-to-none for performance and durability. Just like the fabrics used to make Watershed Drybags, when you’re out there paddling you can’t crack, fade, or lose your flexibility. Another adventurer of ours sent in this pic of his Colorado DryBag that in an act of God (or just faulty roof rack assembly) flew out of his kayak on the interstate and went toe-to-toe with an 18 wheeler. Sadly, the body of the bag got destroyed, but you can see the zipper feature remained shut throughout the entire hellacious event. Now that’s a true seal! We created these bags with us in mind, and you are just like us – wanting a quality product that does what it says it does. 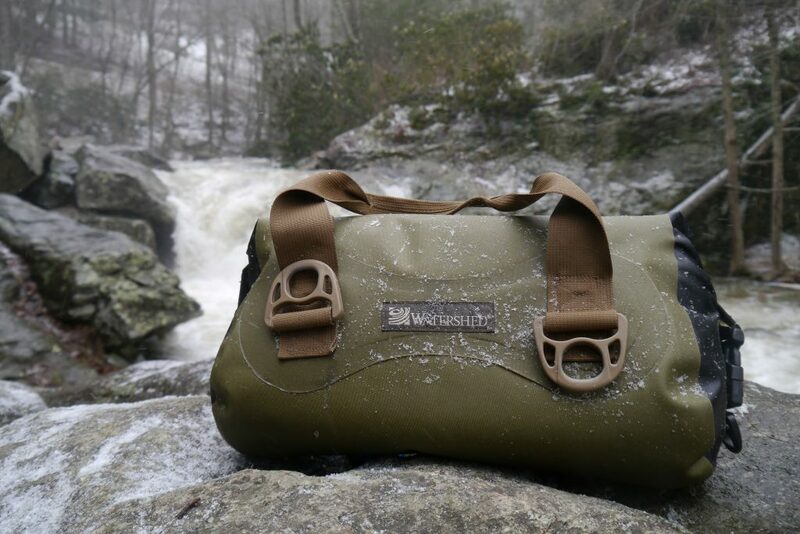 We strive to create a top-notch Drybag to keep items dry and ready to go no matter what the circumstances. As always have fun, and stay dry out there!